Let your star light shine! 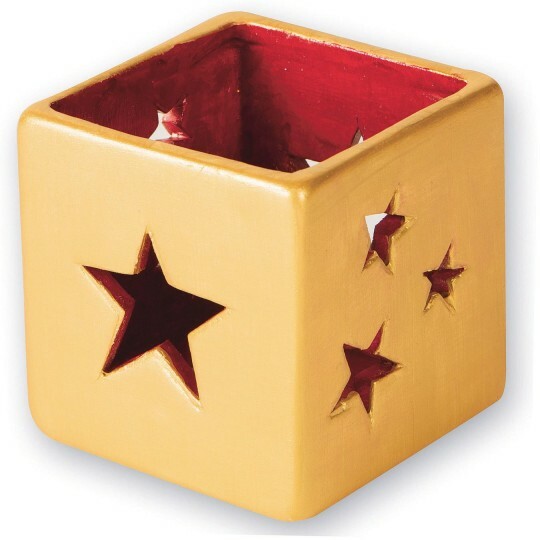 “Star light” shines in this votive holder with 2 different star designs. The ceramic holder is bisque-fired to accept acrylic paint, paint markers, or markers. 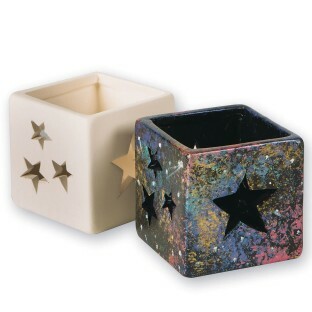 Use with real or electric tea light candles (see our SL7764 Faux Tea Lights). Finished size measures approx. 2-1/2” square.